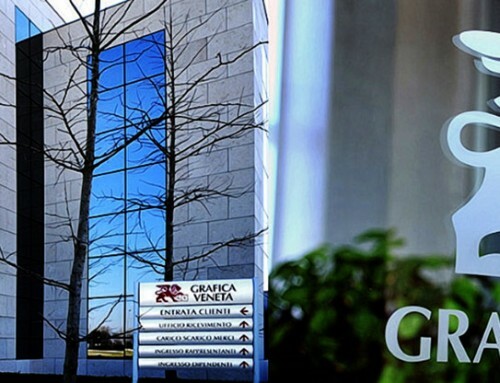 Ivrea, December 4th, 2018 – Tecnau and Smyth are launching a new partnership to produce a folding and sewing system with feeding from a continuous roll for digitally printed books and catalogs. The solution unwinds, cut and stacks 4-page and 8-page printed signatures; these are subsequently folded and accumulated to form larger signatures which are then sewn together. 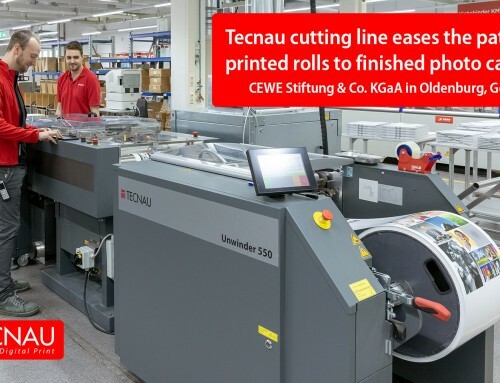 Thanks to the Tecnau input channel, composed of an Unwinder u10 and a Cutter TC 7000 HS, it is possible to process variable page lengths in total automation, without any operator intervention and with a feeding capacity up to 600 signatures per minute. The Cutter is equipped with a very precise dynamic cutting system to allow instant speed changes and stoppages, simplifying the book-block separation process during sewing. 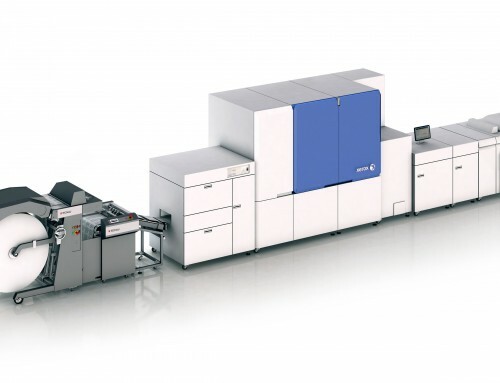 The highly versatile system guarantees dramatic time and cost reductions during production while offering extreme ease of use, allowing the entire production process to be managed by a single operator. 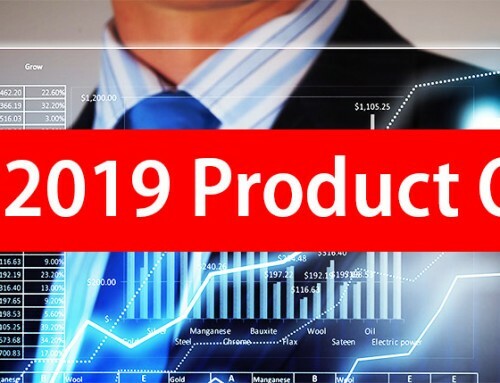 Sabrina Pronotto, CEO at Smyth added: “This thoughtfully engineered solution can easily manage a wide array of applications from short to medium runs for book on demand production. It’s an integrated process that combines extreme reliability and a very highly precise productivity. 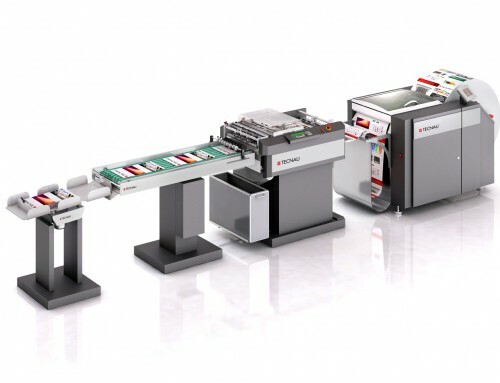 Smyth’s DX-70 PLUS, with the folding system with (2) parallel pockets followed by the collating station, also permits the production of multiple 16-page signatures (a unique feature) printed on a single sheet, effectively reducing costs and production time while minimizing operator intervention. 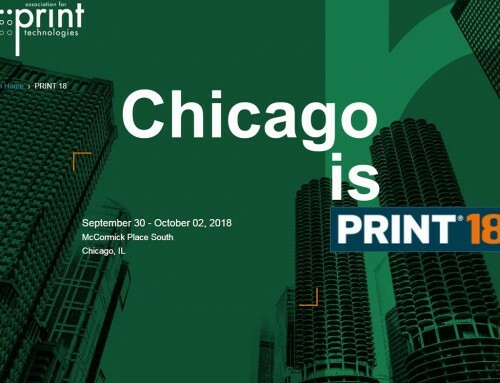 This newly offered system demonstrates Smyth’s and Tecnau’s common desire to build an exclusive integrated system with an exceptional level of technology able to meet the highest quality standards of sewed commercial print production even down to very short runs. Smyth S.r.l. is a market leader in the design, planning and construction of bookbinding machines and in finding solutions for sewing and binding printed books in both off-set and digital versions, with a vertical focus on thread book sewing machines, gathering machines, back-gluing lines, case-makers and book finishing solutions also for short run books-on-demand. Smyth guarantees an excellent after-sales service for all its machines, vast technical know-how to support its Customers, continuous innovation and product quality recognized world-wide, with over 560 active customers in 65 countries spread over 5 continents.